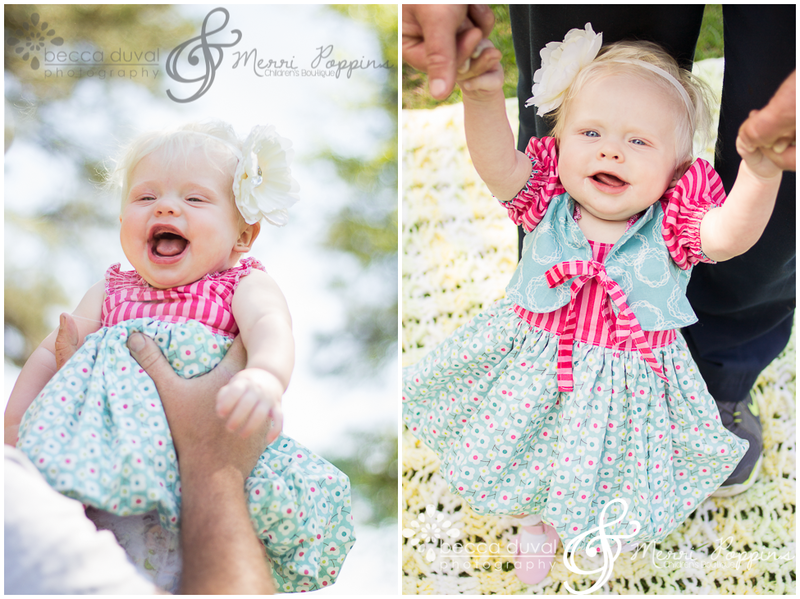 Meet Lenseay the adorable gummy-grinned model of our Teagan's Bubble Dress and Bianca Bolero! And Abby, modeling our baby pink houndstooth capris. This little lady has some serious modeling experience! "Mom-tog" Maggie has taught her well! 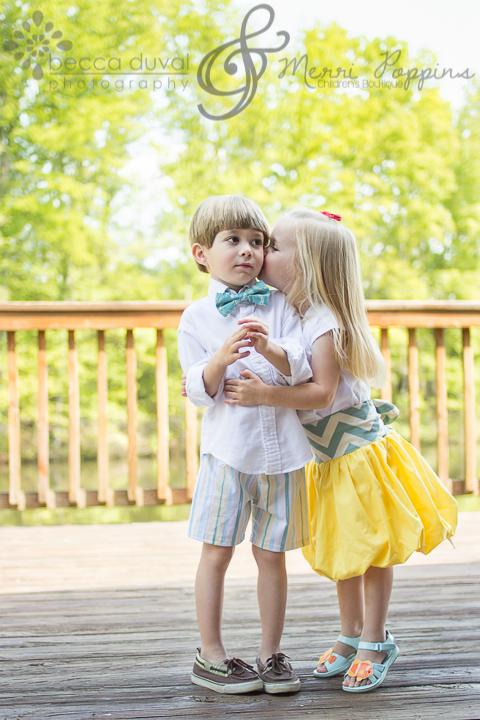 How picture-perfect are twins Catherine and Dillon? I interrupt your gasps of cuteness to bring you the Daphne Bubble Skirt and the Aidan shorts. Fashion Friday regular, Jenna, couldn't stop twirling in her Izzy skirt! I hope you all have loved our Malt Shop theme as much as we have! We're equally excited to debut our MALIBU theme next week. See you then!